I stumbled onto this infographic and thought it was a great way to help explain to you how LinkedIn works and how many people are using it. I would like to note that as of March 31, 2012, LinkedIn operates the world’s largest professional network on the Internet with 161 million members in over 200 countries and territories. Professionals are signing up to join LinkedIn at a rate of approximately two new members per second. And, more than 2 million companies have LinkedIn Company Pages. LinkedIn members did nearly 4.2 billion professionally-oriented searches on the platform in 2011 and are on pace to surpass 5.3 billion in 2012. Those numbers are staggering. If you or your company doesn’t have a LinkedIn presence yet, I would highly suggest making this a priority. If you couldn’t tell, I am a big fan of LinkedIn and have several blog posts featuring tips and tricks. 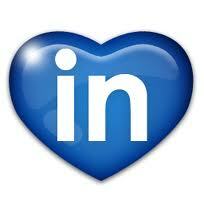 Click on the Category Cloud/LinkedIn to find all the articles. If you are on LinkedIn, way to go! Feel free to connect with me. Greeting from over the world. informative post I will return for more.